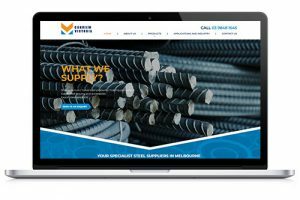 Conview Victoria have been looking for a new website to promote their supply and manufacturer of Chinese made steel. One of most important factors for Sharon and the team was our ability to clearly communicate and understand their needs based on their limited English skills. This process covered design, coding and content creation (covered in part by our dedicated SEO Team through Digital Elder). Sharon is very pleased with the final outcome of this project and the high level of service we have passed through to herself and business partners.